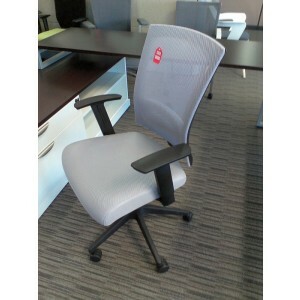 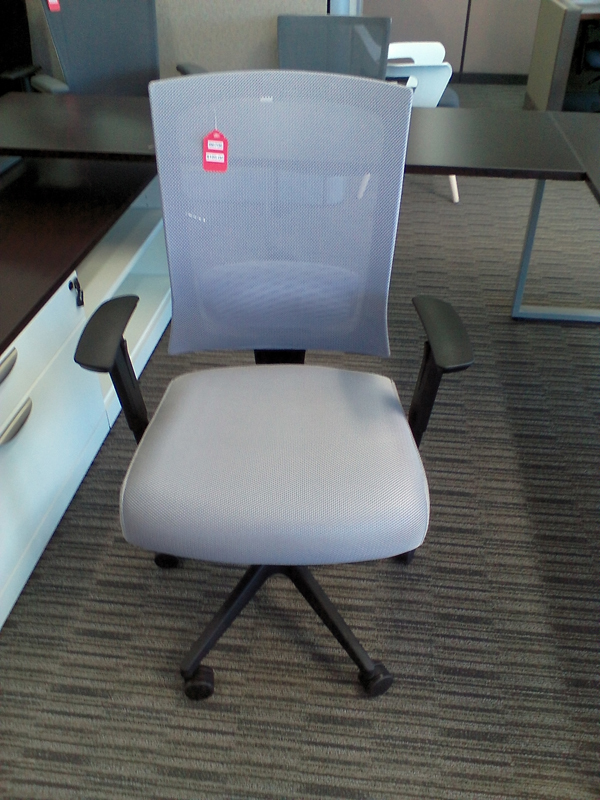 Contemporary Boss Mesh Back Chair upholstered with mesh material, which allows air to pass through, adding to long term comfort by preventing body heat and moisture to build-up. 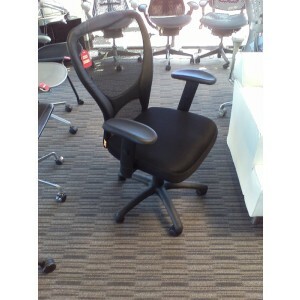 – Breathable mesh fabric seat. 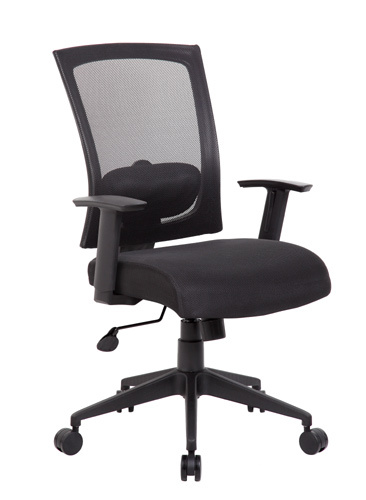 – Ratchet back with active lumbar support. 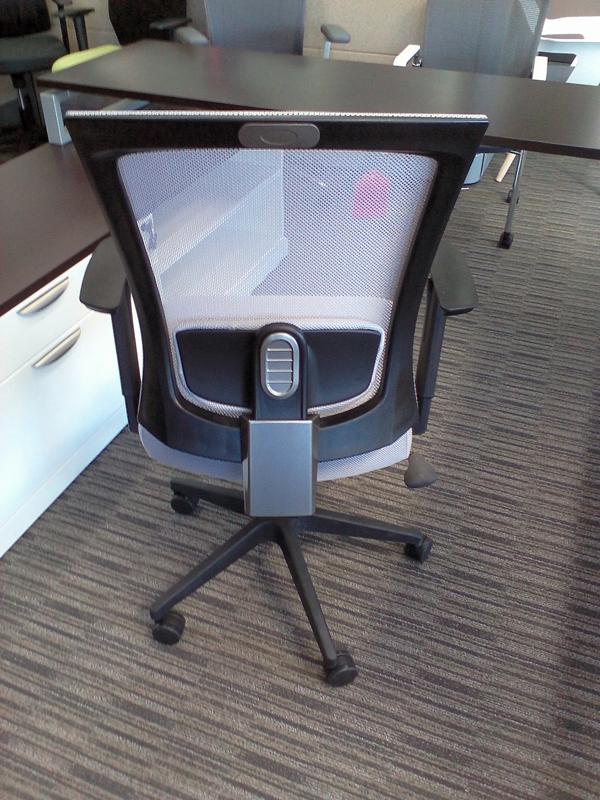 – Pneumatic gas lift seat height adjustment. 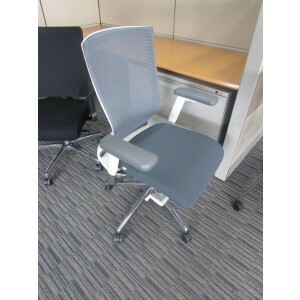 – Adjustable tilt tension control. 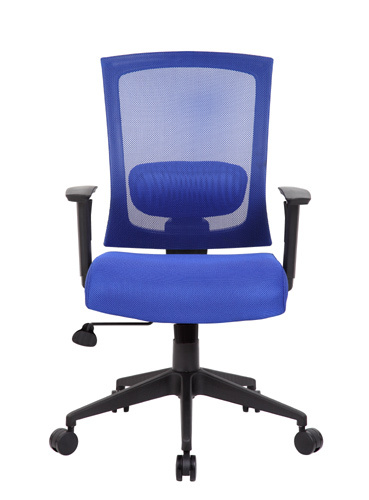 – 25” nylon high base.<br< -=”” hooded=”” double=”” wheel=”” casters.<br=””> – Available 4 mesh colors: Blue, Black, Grey and Red.